Todd Beaird was miserable working in the insurance industry for almost 20 years. Then he bought Blue Moon Barbeque in Lebanon Tennessee from his brother-inlaw. Beaird replaced days full of policies and deductibles with briskets, chickens, and mac & cheese. Since then, he loves waking up early every morning to fire up the smokers, and continue growing his successful restaurant. 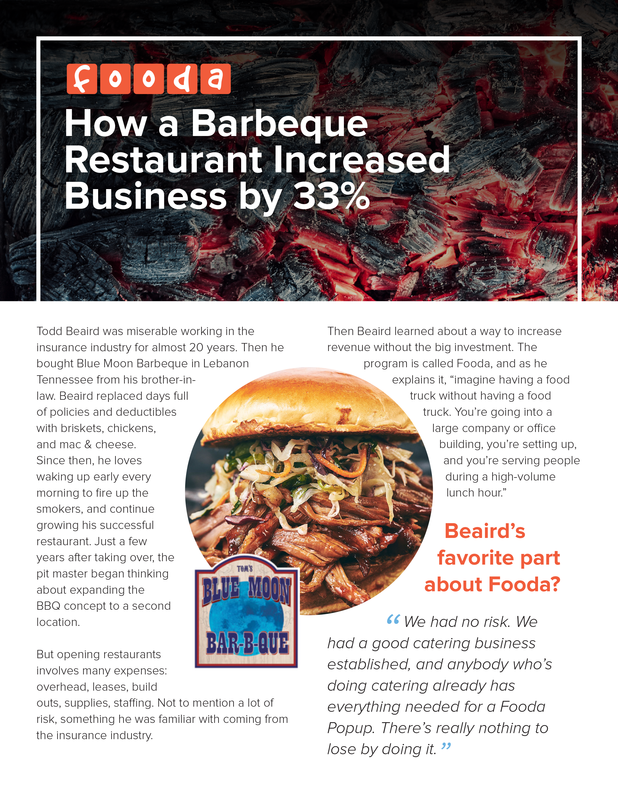 Just a few years after taking over, the pit master began thinking about expanding the BBQ concept to a second location. But opening restaurants involves many expenses: overhead, leases, build outs, supplies, staffing. Not to mention a lot of risk, something he was familiar with coming from the insurance industry.